The brother of the Manchester bomber knew he was going to carry out the atrocity more than a month ago, Libyan police claimed last night. 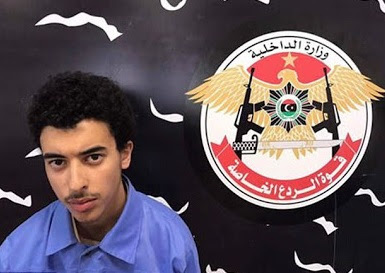 Engineering student Hashem Abedi was being interrogated last night in Tripoli over claims he helped his older brother Salman build the suicide vest. Hashem, 20, has confessed to knowing about the attack when he visited his suicide bomber brother’s Manchester home in April, Libyan counter-terrorism officers said. Detectives said Hashem had links to Islamic State and was planning to carry out a terror attack in Tripoli. He was seized at gunpoint during a raid on his home by Tripoli’s Special Deterrent Force (SDF) on Tuesday night – a day after his brother killed 22 concert goers in Manchester.